Internal medicine specialists have become prime targets of invasive ZPIC audits, federal fraud investigations, and Medicare billing extrapolations. Today, maintaining a successful internal medicine practice may attract unwanted government attention. Computer systems, literally, identify which doctors to target based on dubious comparisons of doctors within the same or similar specialty and geographical area. If your practice is under audit by commercial insurance or Medicare plans, if you were notified of a patient complaint against you in the context of controlled substances prescriptions, or if you are otherwise aware of an actual or potential investigation against you, don’t make the number one mistake: Do not wait. Contact an experienced attorney right away. The more time you let by, the more difficult it is to defend your interests as the case progresses. Call Oberheiden, P.C. today. Consultations are 100% free and 100% confidential. When you are worried about your license and your reputation, you should leave those worries to the trusted and proven attorneys at Oberheiden, P.C. Just like your patients trust you and you are there for them, we want to be there for you and take care of the legal issues that concern you. The sooner you call, the sooner we can start the healing process. DEA Investigation v. Physician. Oberheiden, P.C. attorneys represented a physician accused of prescription fraud under 21 U.S.C. 841 and 21 U.S.C. 846. Our intervention on behalf of the doctor resulted in no criminal charges. DEA Investigation v. Physician. Oberheiden, P.C. attorneys defended an internal medicine physician accused of health care fraud under 18 U.S.C. 1347. Our defense resulted in the end of the prosecution. FBI Investigation v. Physician. Oberheiden, P.C. lawyers defended an internal medicine doctor against allegations of health care fraud and receiving unlawful kickbacks in exchange for referrals. Our representation resulted in no charges against the doctor. OIG Investigation v. Physician. Oberheiden, P.C. attorneys defended a surgeon against criminal health care fraud allegations. Our defense resulted in no criminal and no civil liability. DEA investigation v. Physician. Oberheiden, P.C. successfully defended an internal medicine practitioner against criminal violations under the Controlled Substances Act. Our engagement resulted in no charges against the physician. FBI Investigation v. Physician. Oberheiden, P.C. attorneys were able to avoid criminal charges on behalf of an internal medicine doctor. The physician was accused of having accepted illegal kickbacks. FBI Investigation v. Physician. Oberheiden, P.C. attorneys defended an internal medicine doctor against billing fraud charges. Our representation allowed us to clear the doctor and to avoid criminal charges being filed. OIG Investigation v. Physician. Oberheiden, P.C. attorneys cleared an internal medicine specialist against allegations of overbilling Medicare and health care fraud. The doctor continues to practice without licensing restrictions. FBI Investigation v. Physician. Oberheiden, P.C. lawyers successfully saved a physician from being included in a federal health care fraud conspiracy indictment. No charges were filed against our client due to our intervention. FBI Investigation v. Physician. Oberheiden, P.C. attorneys defended an internal medicine physician against Medicare fraud charges. The government agreed to not file an indictment due to the defense work of our attorneys. OIG Investigation v. Physician. Oberheiden, P.C. attorneys saved a family medicine doctor against Medicare fraud charges relating to allegations of accepting unlawful kickbacks. Our representation resulted in no criminal charges. FBI Investigation v. Physician. Oberheiden, P.C. attorneys avoided Medicare Fraud charges against a family medicine doctor. The investigation alleged overutilization and overbilling of Medicare services. FBI Investigation v. Physician. Oberheiden, P.C. attorneys defended a surgeon against pending grand jury criminal charges for his alleged involvement in a criminal kickback scheme. FBI Investigation v. Physician. Oberheiden, P.C. attorneys successfully cleared a family medicine specialist of violations of the Controlled Substances Act and health care fraud allegations. Our attorneys made sure the physician was not charged and he continues to practice to this day. As the following examples show, the U.S. Justice Department has broadened the scope and heightened the scrutiny when it comes to internal medicine physicians. Federal prosecutors are investigating physicians in connection with a variety of services, most of these services being outside of the physicians’ core practice. For example, the government is aware that a significant number of internal medicine doctors provide assistance to home health care and hospice agencies, two industries notorious for Medicare fraud. Several doctors got into legal turbulences for certifying and re-certifying Medicare Form 485, when, according to the government, these patients were not adequately examined or supervised and did not qualify for the services certified. Most recently, the government has expanded its review of internal medicine services in the context of opioid prescriptions. The DEA and the FBI have arrested internal medicine doctors in virtually all states arguing that they have authorized excessive amounts of opioids in violation of 21 U.S.C. 841, the Controlled Substances Act. A non-profit organization has agreed to pay the United States over $14 million to settle allegations that it was improperly paying its physicians. Mercy Health, which operates health care entities in Kentucky and Ohio was alleged to be paying five internal medicine doctors and one oncologist rates that far exceeded fair market value. The doctors receiving these above market rates were apparently being incentivized to refer patients to the entities owned by Mercy Health. Since Mercy Health has handled the allegations with a settlement, there will be no finding of liability. 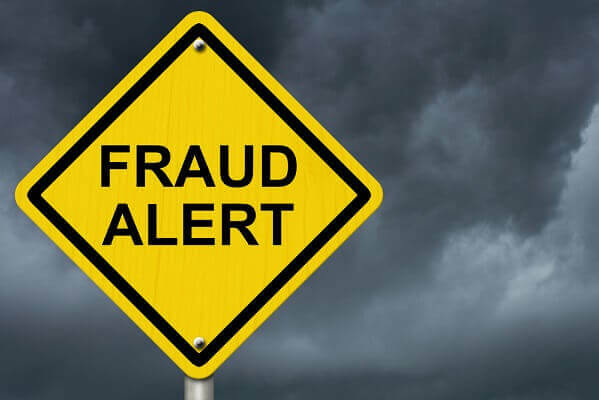 In January 2018, a federal jury convicted a Michigan internist of home health care fraud following a two-week trial in the Eastern District of Michigan. Gerald Daneshvar, of Detroit was convicted of one count of conspiracy to commit health care fraud. According to evidence presented at trial, Daneshvar worked for a company that provided medical services to homebound individuals. Daneshvar would see patients that were not certified as homebound, yet bill Medicare for services as if they were. Danshevar would also bill Medicare for services that were not rendered. For submitting these fraudulent claims to Medicare, Daneshvar was paid more by his company. Daneshvar was sentenced to a term of 24 months in prison. Mahmoud Rahim, M.D, a Michigan internist, was convicted of one count of conspiracy to commit health care fraud and wire fraud, one count of wire fraud, one count of conspiracy to receive health care kickbacks and two counts of receiving health care kickback following a one-week trial in September of 2017. According to evidence presented at trial, Rahim would receive kickbacks for referring his patients for various other services. Rahim referred his patients for physical therapy and electromyogram tests, of most of the time, these referrals were for medically unnecessary services. Rahim hid the kickback payments in a shell company that he set up. Rahim was sentenced to a term of 72 months in prison for his role in the offense. Learn from these Mistakes. Get the Trusted Oberheiden, P.C. Attorneys on Your Team Today. Contact Us Today. Speak to Senior Attorneys Right Away.